In late February, DA-Desk announced the promotion of Hans-Christian Mordhorst as Managing Director of DA-Desk to support the continuous commercialization of value-adding services to the company’s fast-growing list of customers. “Following a record year of new customer gains, we continue to pursue business process improvements, with the overall goal of delivering more savings and better value to our customers. From our talented pool of senior leaders, we have chosen Hans-Christian Mordhorst for this position, primarily because of his track record of leadership. In addition, his appointment is in keeping with our goals: to ensure that DA- Desk is in a strong position to continue growing its client base, and to continue leading the company in delivering long-term value to our stakeholders,” remarked Jens Lorens Poulsen, co- founder and CEO of The Marcura Group. Mordhorst served as Deputy Managing Director of DA-Desk as of early 2014, while also responsible for relations with existing and new customers, agents and partners in the role as Commercial Director since 2012. 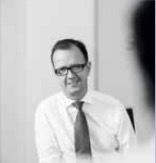 Prior to DA-Desk, Mordhorst held high-level positions within leading shipping companies, including Chief Commercial Officer for Team Lines, Managing Director for Maersk Line in Russia, Finland and Baltic states; and European Sales & Marketing Director for P&O Nedlloyd. “Our investments in data and analytics are delivering exceptional services to our customers and partners. I am incredibly proud to be part of this industry-leading company and very committed to challenging our organization and operations to continue raising the standards of the industry,” says Mordhorst, who assumed the role effective 10 February 2015. DA-Desk was founded in 2001 on the principle that an independent disbursement account (DA) processing company — not owned by port agencies or shipping companies — could provide an objective, automated DA process that would benefit both principals and agents. Today, the privately owned company, headquartered in Dubai, UAE, is the world’s largest port cost management services provider. Its IT-enabled services and tools deliver operational efficiencies, enhanced security and cost savings while mitigating regulatory compliance risks for more than 220 customers across the globe making over 140,000 port calls annually.